Wool and the Gang is ready to hook you on its housewares. 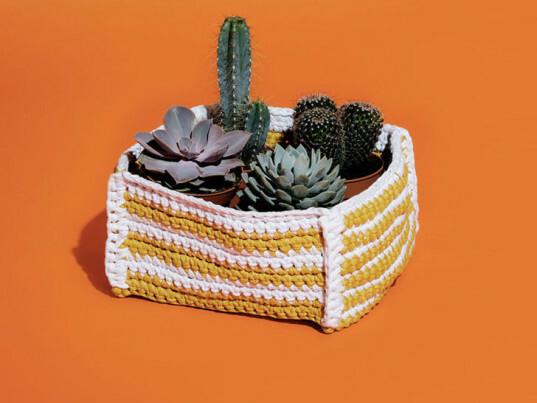 The urban-chic label, whose do-it-yourself "knit kits" allow hobbyists to create runway-ready pieces of their own (think chunky beanies, shoulder-baring sweaters, and plunging V-neck tanks), has launched a new line of crocheted accessories for hearth and home. Featuring statement items like rugs, plant pots, placements, and poufs, the collection puts the "fun" in "functional." Getting knitty with crochet just made sense, according to Jade Harwood, co-founder and creative director of Wool and the Gang. "Last year crochet was in Google's top five 'how to' searches before knitting," she told Ecouterre. "Our 'gang' was always asking, so it was very natural for us to add the hook to the family." Like all of the firm’s offerings, designs come in two tiers. You can have the company’s community of at-home crafters (a.k.a. the ‘gang’) make the item for you, or you can purchase the supplies and apply your own elbow grease. Each kit contains everything you need to get started, including Wool and the Gang’s recycled “Jersey Be Good” yarn, plus hooks if you need them. Whichever option you choose, Harwood is sure of one thing. 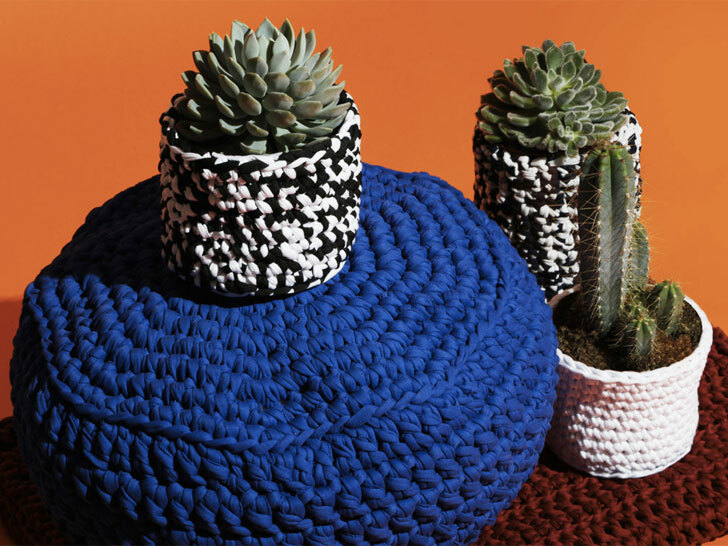 “Our crochet collection will—literally—make your home a happy home,” she said. Harwood was a little more coy about the label’s future. “We definitely have plans to expand into new categories,” she teased.